I love my slow cooker. It truly produces food which feeds the soul, particularly on a cold winter’s night. It can turn the most humble of ingredients into an amazing meal. 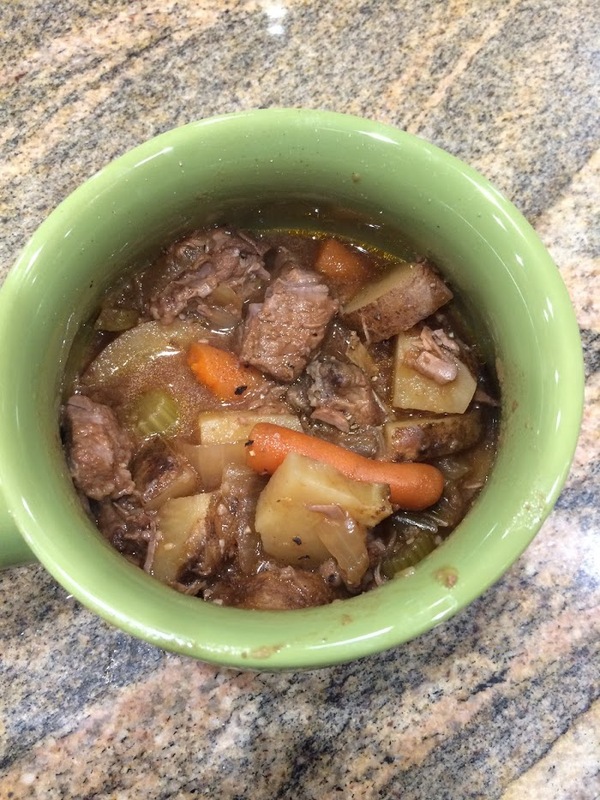 One of my favorites is beef stew. I love coming home after work or a soccer practice to the smell of it enveloping the kitchen. Add a warm loaf of bread or some rolls and its pure heaven on a cold night. This is my own recipe and its scaled for my six quart slow cooker. Stew is a forgiving dish so its a good way to get rid of that wilted celery or less-than-pretty carrots. I must say it never comes out the same depending on what veggies I have around the house and I have experimented with different meats. Below is the basics which I follow pretty much every time. 3lbs. beef (I usually go with a chuck or whatever is cheapest. I did use a London broil because it happened to be on sale. It worked but I think a cut which has more marbling is a better choice. Lean meats don’t get the melting tenderness a fattier cut of meat has. I wouldn’t bother with stew meat, I think its way over priced. If the roast says its good for pot roast its good for stew. 2 cups carrots chopped. (I use the “baby” carrot from the store. I don’t bother chopping them, I just put them in whole). Cube the beef into 1″ or so cubes. Place in a gallon bag along with the flour and salt and pepper and shake until the meat is covered. Later on the flour will help thicken your stew. Brown the beef. This shouldn’t take long, just enough to get a nice sear on the meat. The sear brings out flavor and improves on the stew. Place the meat into the slow cooker. Add the beef broth, tomato paste, wine, bay leaves, onion, carrots, celery and potatoes. I mix my wine with the tomato paste before I put it into the slow cooker because it mixes easier. Add water to the top if it looks dry. The most I’ve added is two cups. It depends on how many vegetables I have added. Set the slow cooker to low. Mine has options for 4, 6, 8 & 10 hours. Six hours is probably enough to get it done but I think giving it ten hours adds depth. Eight hours is probably fine too. Ten hours tends to work with my schedule. The prep for this dish takes me about half an hour. The grocery store sells the frozen stew vegetables which work well and would certainly cut down on the time. The vegetables are open to change. These are the ingredients I usually have around my house. Stew is a dish which encourages creativity. Even in my own experience it never turns out quite the same each time. But that is part of the fun!